Perfect for even smaller spaces, the Berlin 4 Level 28" Shelving Unit features four shelves with different sized compartments on each row. It's expertly built of high-quality materials and boasts clean sleek lines that can be seamlessly incorporated into a variety of decors. Ideal for displaying books, DVDs and decorative pieces, the Berlin's geometric design adds modern flair to any contemporary room. 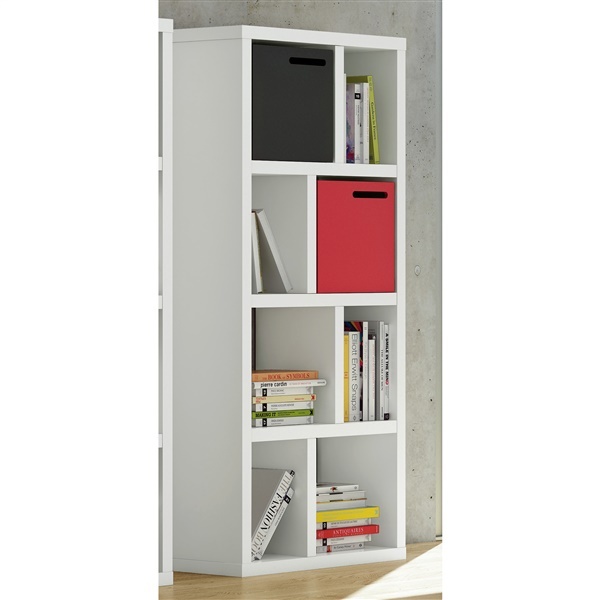 You can also add a splash of color by combining this unit with the optional Berlin Box available for separate purchase.